Gift this beautiful Rose basket to your loved ones in India through RGCards.com. The beauty as well as exotic aroma of the flowers will definitely enthrall your loved ones. 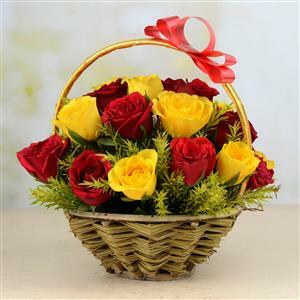 So send this 24 red and yellow roses basket with other Gifts to India.